Available for $7.77 from Amazon or $17.99 through Deeds. 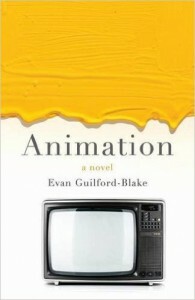 Evan Guilford-Blake’s novel, Animation, is much like its protagonist—quiet, modest, and rather inconspicuous. Yet in that same unassuming way, Adonis Augustinius Agystyn—AKA Aggie—has not only a rather interesting name but a life full of potential and color; however, unlike many ‘What is my life about?’ tales, Aggie not some young buck fresh out of college trying to make his mark on the world and figure out who he really is. Aggie is a fifty-three-year-old, recently divorced, overweight, out of work accountant who only starts to come to life and find some semblance of purpose when he meets Dell, a nineteen-year-old single mom with a sick mother. With that said, this not a story of a whirlwind romance. This is not a tale of all ends well. It is a story of life moves on, of progress, of potential and change that exists within all of us. This is the story of all of us, in some way, shape, or form: Aggie has spent his entire existence striving for little more than surviving—obtaining the status quo and calling that fulfillment. It is a lie not a single human alive has not told themselves before. Day by day, the reader gets to see Aggie’s changes in the choices he makes. And, much like the determined-to-be-optimistic Aggie, we see the bigger picture and the payoff in the end. Going to the gym and eating better brings about a healthier life style. Allowing a small bit of vanity can be good for the confidence and the heart. That it is okay to try things and find they don’t fit. And to fail. And to move on. The primary issues with Animation stem from more than a few tangential thoughts, unneeded repetition of some points while accidentally omitting either story progression or history, and more than a handful of mistakes in the grammar mechanics department. With all that said, there is a certain charm to Animation that leaves a sense of warm hope in the pit of the stomach. Sometimes, that’s just what you need. Evan Guilford-Blake writes prose, plays and poetry for adults and children. 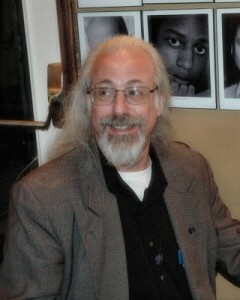 His work has appeared in some 40 print and online journals, and several anthologies; his prose has won 21 contests. Noir(ish), his first novel, was published by Penguin. We previously reviewed his novel American Blues. His plays have been produced internationally. Collectively, they’ve won 42 playwriting competitions. Thirty-one are published. He and his wife (and inspiration) Roxanna, a healthcare writer and jewelry designer, live in the southeastern US. Find more here.